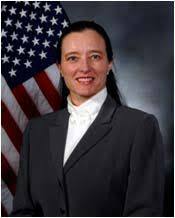 Roberta Ewart is the Chief Scientist, Space and Missile Systems Center (SMC), Air Force Space Command, Los Angeles AFB (LAAFB), CA. She is a distinguished graduate in physics from the United States Air Force Academy and earned the Air Force’s first ever Marshall Scholarship to Oxford University, United Kingdom. There she completed master’s degrees in Theoretical Physics and Philosophy of Science and crewed on two championship rowing teams. Attending night school, she completed a master’s degree in Electrical Engineering from University of Colorado focusing on electro-optics and satellite design. She attended Stanford University, Palo Alto, CA, earning the Degree of Engineer (DE) in Electrical Engineering in advanced low noise laser systems. Ms Ewart was competitively selected as the first chief scientist at SMC in 2006. In this role, she is the center’s principal scientific authority and supports the SMC Commander in assessments of advanced technology. Her primary duty is to advance the knowledge of emerging technologies for improving Air Force space capabilities. Ms Ewart holds DAWIA Level 3 Certifications in: Program Manager (PM) and Systems Planning, Research and Development (SPRDE). Abstract: This keynote will discuss the trends and implications of creating and maintaining in-space satellite network management for autonomous off-planet data distribution. Ashutosh Dutta is currently Senior Wireless Communication Systems Research Scientist at Johns Hopkins University Applied Physics Labs (JHU/APL) with a joint appointment as Lawrence Hafstad Fellow at Johns Hopkins University. Most recently he served as Principal Member of Technical Staff at ATT Labs in Middletown, New Jersey. 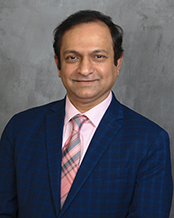 His career, spanning more than 30 years, includes Director of Technology Security and Lead Member of Technical Staff at ATT, CTO of Wireless at a Cybersecurity company NIKSUN, Inc., Senior Scientist in Telcordia Research, Director of Central Research Facility at Columbia University, adjunct faculty at NJIT, and Computer Engineer with TATA Motors. He has more than 90 conference and journal publications, three book chapters, and 30 issued patents. Ashutosh is co-author of the book, titled, “Mobility Protocols and Handover Optimization: Design, Evaluation and Application” published by IEEE and John Wiley that has recently been translated into Chinese Language. Ashutosh served as the chair for IEEE Princeton / Central Jersey Section, Industry Relation Chair for Region 1 and MGA, Pre-University Coordinator for IEEE MGA and vice chair of Education Society Chapter of PCJS. He co-founded the IEEE STEM conference (ISEC) and helped to implement EPICS (Engineering Projects in Community Service) projects in several high schools. Ashutosh currently serves as the Director of Industry Outreach for IEEE Communications Society and is the founding co-chair for IEEE 5G initiative. He also serves as IEEE Communications Society's Distinguished Lecturer for 2017-2018. Ashutosh serves as the general co-chair for the premier IEEE 5G World Forum. 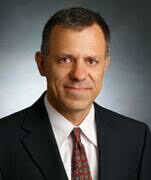 He was recipient of the prestigious 2009 IEEE MGA Leadership award and 2010 IEEE-USA professional leadership award. Ashutosh obtained his BS in Electrical Engineering from NIT Rourkela, India, MS in Computer Science from NJIT, and Ph.D. in Electrical Engineering from Columbia University under the supervision of Prof. Henning Schulzrinne. Ashutosh is a senior member of IEEE and ACM. Abstract: Software Defined Networking (SDN) and Network Function Virtualization (NFV) are the key pillars of future networks, including 5G and Beyond that promise to support emerging applications such as enhanced mobile broadband, ultra low latency, massive sensing type applications while providing the resiliency in the network. Service providers and other verticals (e.g., Connected Cars, IOT, eHealth) can leverage SDN/NFV to provide flexible and cost-effective service without compromising the end user quality of service (QoS). While NFV and SDN open up the door for flexible networks and rapid service creation, these offer both security opportunities while also introducing additional challenges and complexities, in some cases. With the rapid proliferation of 4G and 5G networks, operators have now started the trial deployment of network function virtualization, especially with the introduction of various virtualized network elements in the access and core networks. These include elements such as virtualized Evolved Packet Core (vEPC), virtualized IP Multimedia Services (vIMS), Virtualized Residential Gateway, and Virtualized Next Generation Firewalls. However, very little attention has been given to the security aspects of virtualization. While several standardization bodies (e.g., ETSI, 3GPP, NGMN, ATIS, ITU, IEEE) have started looking into the many of the security issues introduced by SDN/NFV, additional work is needed with larger security community involvement including vendors, operators, universities, and regulators. This talk will address evolution of cellular technologies towards 5G but will largely focus on various security challenges and opportunities introduced by SDN/NFV and 5G networks such as Hypervisor, Virtual Network Functions (VNFs), SDN Controller, Orchestrator, Network Slicing, Cloud RAN, and security function virtualization. This talk will also highlight some of the ongoing activities within various standards communities and will illustrate a few deployment use case scenarios for security including threat taxonomy for both operator and enterprise networks. In addition, this will also highlight ongoing activities within IEEE Future Network initiative including roadmap efforts and various ways one can get involved and contribute to this initiative around the world. Prof. Dr. Burkhard Stiller is a full professor for Communication Systems, heading the Communication Systems Group CSG, Department of Informatics IfI at the University of Zürich UZH, Switzerland. His team and he himself started to work on Bitcoins and Blockchains in early 2014 with his by then PostDoc Dr. Thomas Bocek. Besides being the coordinator of many Swiss and European industrial and research projects, Burkhard is Editor-in-Chief of Elsevier’s Computer Networks journal, organized major conferences as General Chair (e.g., IFIP Networking 2018, CNSM 2013, IEEE LCN 2009 in the more recent past), chaired events as TPC Chair (e.g., WMAN 2011, ETM 2010, AIMS 2010, MUCS 2010, ICQT 2009, KiVS 2007, IFIP/IEEE NOMS 2006, IEEE LCN 2003 and 2002, and ICQT 2001), and has published within his main research interests well over 250 research papers on systems with a fully decentralized control (blockchains, clouds, peer-to-peer), network and service management (economic management), Internet-of-Things (security of constrained devices, LoRa/TTN), and telecommunication economics (charging and accounting). He is a senior advisor of modum.io, an ICO-financed start-up in the blockchain and logistics domain in Zürich, currently IFIP TC6 Chair, was Chair of the IEEE Computer Society TCCC, and is Editorial Board Member of the IEEE Transactions on Network and Service Management (TNSM), International Journal of Network Management (Wiley and Sons), the Journal of Network and Systems Management (JNMS/JONS, Springer), Netnomics: Economic Research and Electronic Networking (Springer), and the Journal of Cloud Computing (Springer). Abstract: Blockchains “drive” manifold discussions today – the public one to the benefits of people and society, the scientific one to obtain and determine knowledge advances, and the commercial one indicating success and efficiency gains in multiple dimensions. Thus, it is sort of arduous to keep the view clear, unbiased, and measurably fair, especially on the evaluation and judgment of this about ten years old Abstract Data Type, termed Blockchain or Distributed Ledger within these very different application domains. Although the term “technology" is often added in the context of Blockchains or Distributed Ledger, it is questionable if available technology definitions as of “the application of scientific knowledge for practical purposes, especially in industry”, the “machinery and equipment developed from the application of scientific knowledge”, or “the branch of knowledge dealing with engineering or applied sciences” apply. And it became clear over the past years that only a larger system surrounding the core idea of Blockchains or Distributed Ledgers makes it fly, however, still in a fully decentralized and intermediary-free manner? Therefore, this talk will briefly summarize core technical characteristics of Blockchains and Distributed Ledgers, while indicating the evolutionary approach undertaken and addressing essential differences of public Blockchains and private ones. It will raise the awareness that Blockchains and Distributed Ledgers assume important prerequisites, which result in dedicated effects and impacts from which certain applications can benefit, others cannot. Nevertheless, numerous projections of the usefulness of Blockchains and Distributed Ledgers remain unrealistic, therefore, selected challenges and risks will conclude the talk. Dr. Petros Mouchtaris has over 20 years of experience in research and development, both as a technologist and a senior manager. He was named president of Perspecta Labs in 2016 and provides the vision and leadership for transformative applied research. Prior to being appointed as president, he served vice president of applied research and played a key role in growing the organization and setting its strategic direction. In particular, he has led the entry into advanced security for wireless ad hoc networks; and served as principal investigator for various projects funded by two of the organization’s biggest customers, DARPA and Army CERDEC. 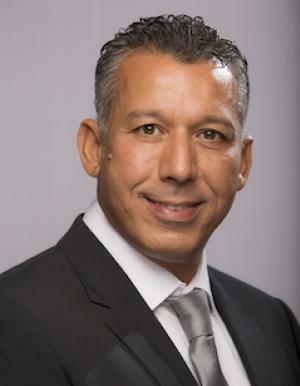 In previous roles he has been AVP of Telcordia Technologies' Network Systems Laboratory, Director of Oracle’s Product Development, and Technical Director at Pacific Bell (now AT&T). Dr. Mouchtaris has been published extensively in the areas of wireless networks, cyber security, voice-over-IP, and smart grid security; and is co-author of the book “Security for Wireless Ad Hoc Networks.” He was elected a Telcordia Fellow in 2011, and has been named by Billing and OSS World as one of the “25 Most Influential People in Telecom Software.” Dr. Mouchtaris holds a bachelor's degree in electrical engineering from the National Technical University of Athens, Greece, and both a Master of Science and Ph.D. degrees in electrical engineering from the California Institute of Technology, CA. Abstract: Networks are becoming much more complex and agile. The introduction of Internet of Things and Cyber Physical Systems (like connected cars, traffic lights, and toasters) is resulting in much larger number of devices and technologies that networks need to support. Software Defined Networking (SDN) and Network Function Virtualization (NFV) are making networks much more agile but are also introducing another dimension of complexity. The migration of many enterprise applications to the cloud and hybrid cloud architectures are impacting existing networks and introducing additional requirements for future network architectures. Mobility requirements and 5G also require network management approaches that can adapt very quickly to changing environments. Humans have trouble keeping up with the complexity and change of modern networks and continue to be the main cause for network problems and downtimes. Is replacing humans with bots the right answer? What are the pitfalls of turning over management of networks to machines? Are there alternative approaches that can make networks more robust? In this talk, we will explore the advantages of AI/ML approaches to network management but also their limitations and will provide insights to the network management areas that AI/ML approaches are best suited for. Raouf Boutaba is a University Chair Professor of Computer Science and Associate Dean Research of the faculty of Mathematics at the University of Waterloo. He also holds an INRIA International Chair in France. He is the founding Editor in Chief of the IEEE Transactions on Network and Service Management (2007-2010), and the current Editor-in-Chief of the IEEE Journal on Selected Areas in Communications. He served as the general or technical program chair for a number of international conferences including IM, NOMS and CNSM. His research interests are in the areas of network and service management. He has published extensively in these areas and received several journal and conference Best Paper Awards such as the IEEE 2008 Fred W. Ellersick Prize Paper Award. He also received other recognitions, including the Premier's Research Excellence Award, Industry research excellence Awards, fellowships of the Faculty of Mathematics, of the David R. Cheriton School of Computer Science and several outstanding performance awards at the University of Waterloo. He has also received the IEEE Communications Society Hal Sobol Award and the IFIP Silver Core in 2007, the IEEE Communications Society Joe LociCero and the Dan Stokesbury awards in 2009, the Salah Aidarous award in 2012, the IEEE Canada McNaugthon Gold Medal in 2014, the Technical Achievement Award of the IEEE Technical Committee on Information Infrastructure and Networking as well as the Donald W. McLellan Meritorious Service Award in 2016. He served as a distinguished lecturer for the IEEE Computer and Communications Societies. He is fellow of the IEEE, a fellow of the Engineering Institute of Canada and a fellow of the Canadian Academy of Engineering. Abstract: Automated management has been the holy grail of network management research for decades; it aims at achieving autonomous networks, i.e., networks capable to autonomously monitor their status, analyze problems, make decisions, and execute corrective actions. Despite several attempts to achieve autonomous networks in the past, their practical deployments have largely remained unrealized. Several factors are attributed to this, including the existence of many stakeholders with conflicting goals, reliance on proprietary solutions, the inability to process network monitoring data at scale, and the lack of global visibility restricting network-wide optimizations. The stars are now aligned to realize the vision of autonomous networks thanks to (i) advances in network softwarization; (ii) recent breakthroughs in machine learning; and (iii) the availability of large-scale data processing platforms. However, a number of challenges must be addressed in order to create the synergy between these different technology domains and achieve autonomous (i.e., driverless) networks. This talk will discuss some of these challenges with particular focus on programmable network monitoring leveraging network softwarization, predictive machine learning for automated management decision making, and on-demand orchestration of network services. 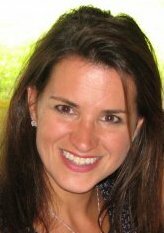 Katalin leads the Ambient Science strategy and architecture team in Intel’s Data Center Software group. Her focus is on the development of self-forming, self-aware and responsive infrastructure as well as on-demand platform technologies. The goal of Ambient infrastructure is to orchestrate autonomic resources in a way that obfuscates the complexity of computing from the user while providing a consistent immersive experience. Prior to Intel, Katalin worked with IBM for 22 years, as a Principal for IBM Global Services, where she led the development of IBM’s Linux strategy. She has over 30 years of industry experience, with datacenter architecture, multi-platform systems, including Power/RISC and Linux on Power, as well as cloud computing and executive level consulting. She published over 30 technical papers and several IBM Redbooks. She has spoken at numerous seminars and conferences since 1995, holds 50 patents, and has received IBM’s Chairman’s Award for her work on building the Linux Services and Support strategy.